Nothing affects the planet as much as the production of food. SI's project Food for Tomorrow adresses the importance of sustainable and healthy food . During the autumn a number of workshops and panel discussions are taking place in Belgrade, Skopje, Tirana and Stockholm. 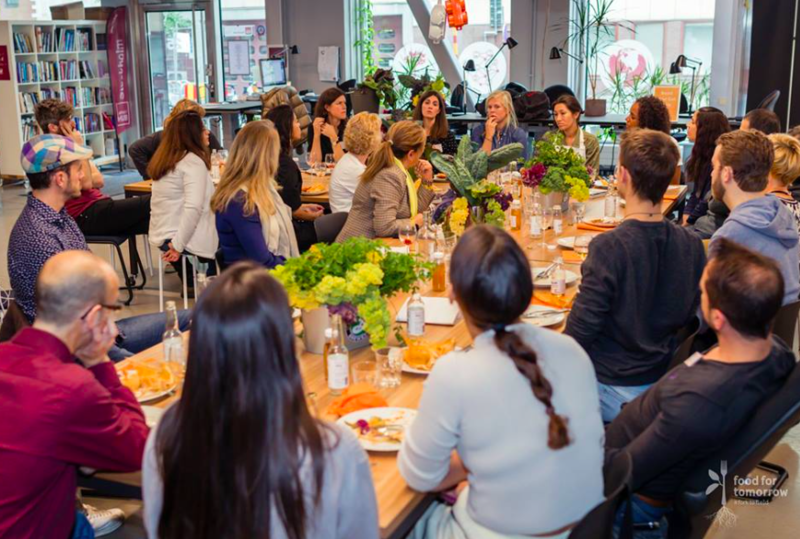 Happy food workshops are a series of events with influential change makers working with food in one way or other and gather to discuss how to increase the consumption of greens. The workshop is hosted by Aline de Santa Izabel, a scientist and founder of Synbiotic Kitchen alongside with an international panel with Ellie Angelovska, founder of BeOrg Macedonia, Patrik Olsson Co-Founder of Enkla Kassen, Tom Finlaysson, chef and Andrea Stover, founder of Stockholm Food Movement who share their experiences about how to work and find smart solutions for a sustainable future.